Match tickets are not refundable. Tickets will be issued as e-tickets, please monitor your registered email address before attending the event, it is your responsibility to print these tickets. Post-booking you will be sent a hotel voucher from our travel partner to print out and present at check in. You will be required to present the e-ticket(s) at the stadium. Single rooms, triple rooms and extra nights are all available on request by contacting customer service. Sightseeing in Rome is both exciting and exhausting. Spanning millennia of history, wherever you turn there are basilicas, piazzas, churches, fountains and museums; seeing all the sights in Rome could take more than one visit. The city is best seen on foot, to avoid missing any of the thousands of architectural gems; highlights include the Spanish steps, Trevi fountain, Pantheon, Piazza Navona, and the Colosseum, which are all within walking distance of one another and the Vatican City. Of course, any visit to Italy is not complete without enjoying the food and wine. Visitors to the city can discover some fantastic back street trattorias, restaurants and pizzerias; as with any city, avoid the hordes close to the main tourist spots and follow the locals to the more out of the way places, you won’t have to go far! Local specialities include bucatini all’ Amatriciana and spaghetti alla Carbonara, Saltimbocca alla Romana (veal served with ham and sage) and artichokes served in all manner of ways. 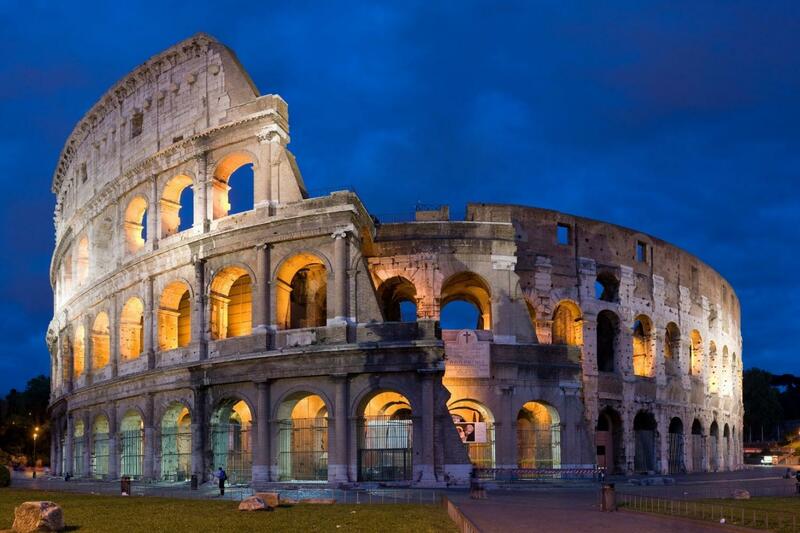 If you have never been to Rome before and are keen to see some of the attractions as well as seeing the rugby match that brought you here in the first place, then why not add on a night or two to your stay? If you can only stay for 2 nights then make the most of the morning before the match and head to the Colosseum first, then Piazza Venezia, the Trevi fountain, Piazza di Spagna, the Pantheon Piazza Navona, St. Peter’s square in the Vatican and then head to the Ottaviano metro station from where you can take a bus to the stadium (see below). It will take you around an hour and a half to walk from the Colosseum to the metro station plus any time you spend at each place; that way you will get to see some of the most famous sites in the world before the match! Not bad for a weekend. With numerous festivals beginning during Holy Week, the peak tourist season runs from Easter through to October. During the winter the weather is relatively mild, add the much smaller crowds and it makes the season a great time to visit Rome. 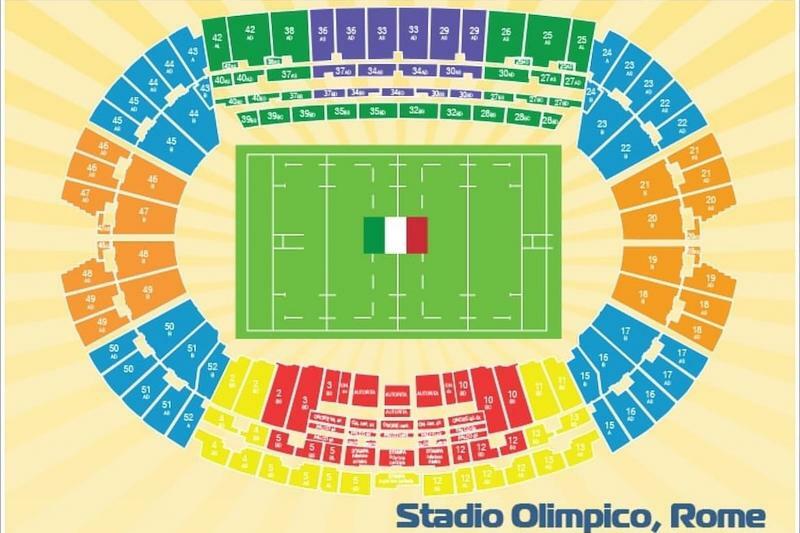 Stadio Olimpico: The stadium is located in the north of the city, and is relatively easy to reach by public transport; you can take the n. 32 and 280 buses from the Ottaviano metro stop near the city centre to the stadium, or the n. 2 tram from the Flaminio metro stop to the opposite side of the river to the stadium and walk over the bridge. In terms of refreshments the offer is quite limited, so you may like to get something to eat before heading over there. Your 3* Hotel will be carefully selected for value, location and facilities. Breakfast is included. After booking, our travel partner will contact you via email to request room type and details of each traveller. Hotel voucher and booking details will be provided thereafter. Both airports offer good public transport links to the city centre. From Ciampino take the airport bus direct to Roma Termini train station. From Fiumicino take a direct train to Roma Termini station.